It's the Balloon-Juice Comment Sentiment Browser! Here's a CSV of the basic scores normalized to score-per-post, and here's the analysis code. Roger Moore was nice enough to further normalize it for us, and here's his Excel sheet. This represents the sentiments expressed in your posts (determined by word choice) normalized across both axes. Since most people ended up with fairly similar ratios, this accounts for that; further, it also accounts for whether you have a higher or lower natural emotional baseline score. What the latter means is that somebody who consistently had 5's in each sentiment would in this representation look the same as somebody who consistently had 1's or 10's or whatever. A positive number means more of that than the 'normal' BJ commenter, and negative less. 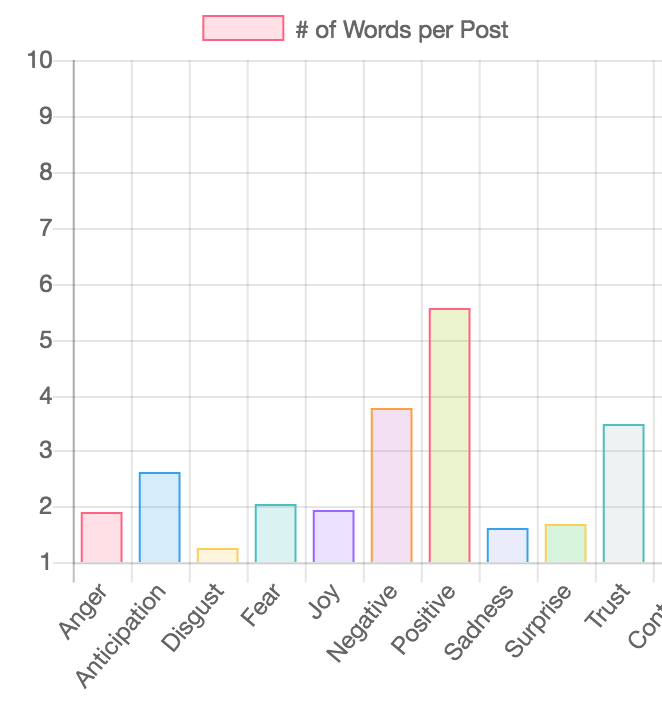 Here's the raw data of a median commenter: So if you have all zeros it means your score looks like that.